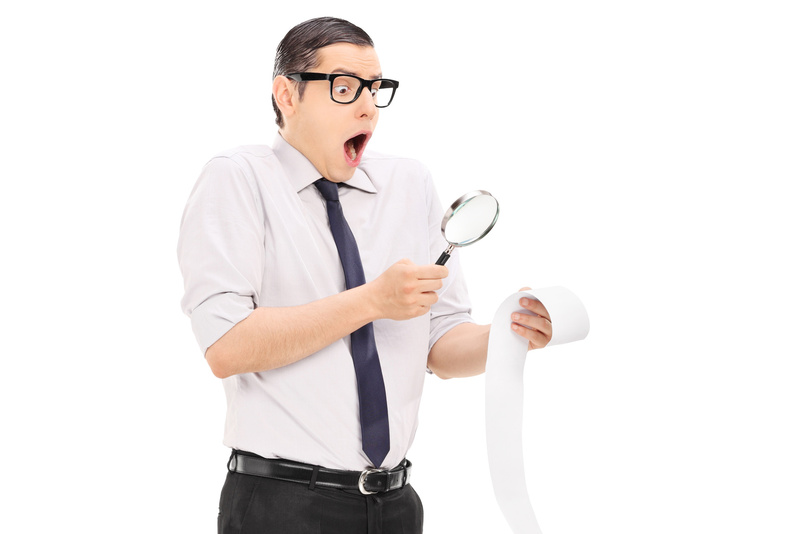 The end of the financial year is a good time to review your household’s biggest expenses. Do it once a year and you could save hundreds of dollars. Are you paying too much for power? There are lots of utility comparison sites on the internet (Google “energy cost comparison Australia.”) Enter the details from your last bill and you’ll get an instant report of power providers in your area and their discounts and plans. Remember that even small savings will add up over time. We have clients at MyBudget who have saved hundreds a dollar a year just by changing insurance companies or by combining their different insurances (car, house, contents, health, life etc.) with the same provider. Do you have enough cover? Have your circumstances changed? Could you increase your excess to reduce your premium? Take a few minutes to contact an insurance broker, either online or on the phone, to check if you’re getting the best deal possible. Spend a few minutes look at your communication bills for the last 12 months. Are you regularly going over your plan? Or are you paying for things you don’t need? Perhaps your data allowance is too high or you have a service pack you don’t use any more. If your mobile phone or internet service is out of contract, call at least one competitor to see what incentives they’ll offer you to switch, then call your existing provider to see what they’ll do to retain your business. Take advantage of historically low interest rates and make sure that you aren’t paying too much for borrowed money. If you have a mortgage, talk to a broker or your bank about locking in a low fixed rate (if you haven’t already.) If you have a personal loan or credit card balance, now is a good time to shop around for a discounted rate. Don’t forget to factor in any early repayment penalties, application or establishment fees. Do you have multiple super accounts? Roll them into a single account to reduce your costs. Wondering how your super fund compares with others? There are a number of online services that publish super fund ratings and comparisons (eg. Canstar, Chant West, Morningstar, SelectingSuper and Super Savvy.) Choose a low-cost fund with a solid five to ten-year performance record. 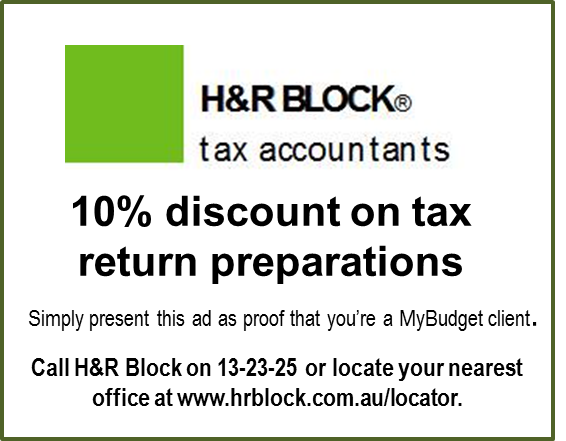 H&R Block is giving MyBudget clients and staff a 10% discount on tax return services. To redeem, print this voucher and present it at your appointment. 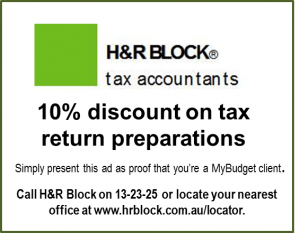 To further ensure you’re not on the Australian Tax Office’s target list, H&R Block is also offering to answer our clients' tax questions for free. Email your questions to: hrblock@hrblock.com.au.